It is true that we do believe the same things about the same God and read the same Scriptures as those Jews who do not believe in Jesus as the Messiah. In Messianic Judaism, we are even part of the same religion. Despite all that common ground, there is one great difference between us. The difference is not in what we believe about God but how we believe about God. Devout Jewish people who do not believe in Jesus as the Messiah believe the same things about God that we believe, but they do not do so in the light of the revelation, teaching, death, and resurrection of Jesus. They believe outside the light of that transforming, from-faith-for-faith experience that Paul spoke of when he said, “I am not ashamed of the gospel, for it is the power of God for salvation to everyone who believes, to the Jew first and also to the Greek” (Romans 1:16). I read this book not long ago but decided not to review it since it leverages material from Lancaster’s Holy Epistle to the Hebrews sermon series, including portions I haven’t listened to yet. I’ll probably intermix my comments on certain parts of the book in various blog posts as I come across the corresponding material in the audio series. Except for this part. This part is special because it answers a question that has been bugging me for a long time, a question I haven’t been able to adequately answer until recently. I mentioned this question just the other day. Prior to the birth, life, death, resurrection, and ascension of Jesus, the Torah laid out exactly what a Jew had to do to worship and relate to God within the context of the Sinai covenant. Yes, there were the sacrifices and the Temple rituals including the moadim (the appointed times or festivals), but Jews also had (and have) a day-by-day relationship and interaction with the God of Israel. Jews pray directly to Hashem. We see this all over the Bible and we see it in the modern lives of observant Jews. And yet Christianity is telling Jewish people (and everyone else) that you can’t worship God directly anymore. It’s not possible. It’s not effective. You have to worship God by worshiping Jesus. I am the way and the truth and the life. No one will come to the Father except by me. That seems quite plain…and final. I have heard an interpretation that likens Yeshua (Jesus) to a door and once we enter through the doorway, we encounter the reason we entered the ekklesia of the Way, we encounter God the Father, the God of Israel. But in many churches, this verse is used to make it seem as if Jesus replaced God the Father, as if God the Father retired and is sunning Himself on a beach in Florida while Jesus the Son is running the family business, and in a very different way than “Dad” ever did. But if God is unchanging across time and if Jesus doesn’t do anything except what he sees the Father doing (John 5:19, 30), then how can there be a discontinuity between Son and Father, between Messiah and God? How can the Son replace the Father as the object of worship for the Covenant community, for Jews who are born into the Covenant and for Gentiles who are grafted in? What did Jesus change when he inaugurated the New Covenant era at his death and resurrection? What does he bring to the table? How does he fit in to the plan of God as the New Covenant is beginning to unfold? I know how the Church would answer, but the answer is full of supersessionism and replacement theology. Jesus came to replace the “ceremonial portions” of the Law (Torah). He came to replace behavioral obedience with grace and mercy. He came to release the Jews (and arguably, everyone else) from the Law so they could be free in his grace. For Jews, instead of going to the Judges and the Priests and the Temple and the Torah to get to God, you go through Jesus. He is now the gatekeeper, he holds all the keys, he guards all the doors. The Torah (or major sections of it including just about everything that defines a Jew as a Jew) has gone “bye-bye” and Jesus is large and in charge and is here to stay. Except that makes absolutely no sense. First of all, I previously said that there is abundant evidence that in ancient and modern Judaism, living a life of obedience to God’s mitzvot is a joy, not a horrible burden. Further, the Torah is a tree of life for all who cling to her. What could Jesus possibly add to all that to become such a game changer and yet still not violate all of the Torah and the Prophets, including the actual New Covenant language found principally in Jeremiah 31 and Ezekiel 36? That’s where Lancaster’s commentary I quoted above comes in. In order to explain his point, he tells a parable. I’m going to include it here in its entirety because I think it clears things up a lot. Once, a man who had two daughters went off to war. Before he left, he promised to return to them, and he also promised them, “When I return, I will bring you each a fine string of pearls and a summer dress.” No one except the two girls knew about the promise. After many years, the man had not returned, and everyone presumed him dead. His daughters, however, continued to hope, believe, and wait. A decade passed, and they grew to become adult women, but neither of them forgot their father or his promises. Deep in their hearts, they continued to hope and to believe. One day a messenger came seeking the girls. Finding only one daughter, he told her, “I have news of your father. He is returning, and he sends you this gift.” The messenger presented her with a fine string of pearls. 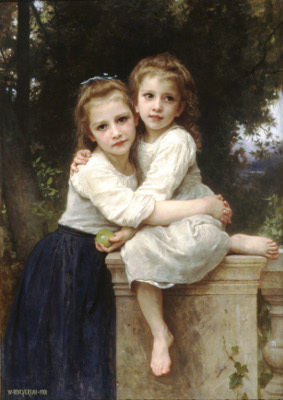 Now both girls still believed in the promise of the father, but one had received a token of the promise, and the other had not. One had faith in the father’s promise on the basis of her hope and confidence in the father’s promise, but the other had faith in the father’s promise on the basis of the good news that she had already received and on the basis of the partial fulfillment of her father’s promise. She already had the pearls. She had no question in her mind that she would soon see her father face to face. Think of that girl’s confidence, certainty, and joy. She no longer had any doubt that her father was coming. She knew that he would bring the summer dress because she had already received the pearls. The Father made a promise to the nation of Israel and to all Jewish people everywhere that He will return the exiles to their Land, defeat all of Israel’s enemies, and not just restore national Israel’s fortunes but elevate her to the head of all the nations of the Earth. Also is the promise of the resurrection of the dead and eternal life for the covenant people, as well as having the Torah written on human hearts rather than stone or paper so that human beings with the full indwelling of the Spirit will naturally obey all of God’s commandments, the conditions of the Sinai and New Covenants, the Torah. All of Israel’s sins will be forgiven. The world will be made completely peaceful, all people will be safe and secure, and a King from the line of Judah and the house of David will sit on the Throne in Jerusalem forever. It should be obvious that the two daughters are two branches of Judaism. The metaphor actually doesn’t work completely because the two daughters must initially be all Jewish people. Then one daughter received the gift sent by her father and believed a messenger. The messenger is Jesus. He is from the Father, from God. He brings a gift, something to confirm that God will fulfill His promises in due time. The messenger does not come to fulfill all the promises but in fulfilling some of them, he brings a guarantee that they will all ultimately come to pass. But what promises did Jesus fulfill? Did he rebuild the Temple? Did he return all of the Jewish exiles to their land? Did he place Israel as the head of all nations? Is he sitting on the Throne in Jerusalem reigning with justice and peace? No. He didn’t do any of those things…yet. How do we know he’ll do any of them at all? Because he brought a gift. Actually, more than one. When the day of Pentecost had come, they were all together in one place. And suddenly there came from heaven a noise like a violent rushing wind, and it filled the whole house where they were sitting. And there appeared to them tongues of fire distributing themselves, and they rested on each one of them. And they were all filled with the Holy Spirit and began to speak with other tongues, as the Spirit was giving them utterance. The forgiveness of sins through faith. These weren’t the “full meal deal,” so to speak, but only an appetizer. Jesus forgave the sins of those who had faith as an illustration of how someday all of Israel’s sins will be forgiven. Jesus died and was resurrected as a confirmation that someday there will be a general resurrection of the dead (see Matthew 27:52-53). The Holy Spirit was given first to the Jews who believed, and then later to believing Gentiles also, to show that one day the Spirit will be poured out on all flesh (Joel 2:28). In Him also we have obtained an inheritance, having been predestined according to His purpose who works all things after the counsel of His will, to the end that we who were the first to hope in Christ would be to the praise of His glory. In Him, you also, after listening to the message of truth, the gospel of your salvation—having also believed, you were sealed in Him with the Holy Spirit of promise, who is given as a pledge of our inheritance, with a view to the redemption of God’s own possession, to the praise of His glory. Jesus, the messenger, comes as a pledge of our full inheritance as believers, first to the Jew but also to the Gentile, that God will redeem His own and fulfill His Word. The metaphor Lancaster used, as I mentioned, doesn’t exactly fit. One daughter has to choose to believe in the messenger, that he really is from their father, and that the gift he brings is genuine and can be accepted by faith as from their father as a promise that he will come and bring his other gift. One daughter would choose to believe the evidence of the gift and the other wouldn’t. In Lancaster’s parable, this draws a distinction between Jesus-believing Jews and all other Jews, but we can also apply it (since the rest of the world has the potential to be grafted in) to believing and unbelieving Gentiles. Jesus has been called the capstone (Matthew 21:42), the one key object in the structure that completes it and holds it all together. Without that stone, not only would the whole structure remain incomplete, it might actually fall apart. So, in his first coming as Yeshua ben Yosef, Messiah came as the messenger from Heaven bringing gifts as a guarantee that all God had promised would be fulfilled. And he did this without replacing anything at all. In fact, if he had replaced anything previously promised or established by God, then Jesus would have failed in his mission to bring the Good News to Israel. When properly interpreted and understood, the teachings of Jesus and those of the apostles, including Paul, show us that Jesus brought exceedingly Good News to Israel and also to the Gentiles, that God intends to do great good to Israel and as one of the results of His actions, even the Gentiles will receive blessings. Unfortunately, when the Gentiles split off from the Jesus-believing Jewish ekklesia to form their (our) own religion called “Christianity,” they “reinterpreted” the ancient Holy Scriptures as well as the teachings of Jesus and the apostles to make it seem as if the Good News was only good for Gentiles. The Christian “good news” was only good for Jews who were willing to give up the original promises of God (and give up being Jewish), for Jesus brought those “new” promises, according to the Christian Church, to replace the old. That’s when the craziness, the bizarre disconnect occurred between different parts of the inspired, “God-breathed” Word of scripture (2 Timothy 3:16-17). That’s when the two sisters drifted apart, but the hope and the promise is that someday their father will return to reunite them as a family. Have I proved my case? Will non-believing Jews read this and be convinced? First of all, my commentary on the role of Jesus and all that he did is hardly comprehensive. A detailed and scholarly analysis would certainly reveal much, much more. No doubt there will be people who will never be convinced and who would even be insulted at my efforts (not that it is my intension to insult anyone). But I’m trying to show both Jews and Christians that the way they are looking at the Bible and looking at Jesus isn’t really how the Good News was originally presented. The original Jewish Good News didn’t require an evangelical approach that says Jews are “cursed” or that they’re “hypocrites”. Sadly, the Christian Church is its own worst enemy, not even by intent, but by continuing to accept a flawed interpretation of the Gospel that was forged with the early “Church Fathers” and cemented by the men of the Reformation. Without a strong and sustained effort by mainstream Christianity to set aside their traditions and to look at the Bible, and particularly Jesus and Paul, with fresh eyes that take into account that Israel is the entire focus of God’s Good News and blessings, we Christians will continue to be a curse upon Israel and the Jewish people, and as a result, only a fraction of Gentile believers, a remnant so to speak, will continue to bless Israel, to elevate Israel, and to await the return of the messenger who will be King. What curses await all those others who perpetually, even without meaning to or desiring to, set aside the centrality of Israel and the place of honor at God’s table for the inheritors of Sinai, the Jews? I beg those Christians reading this to take my message seriously, because this isn’t just me popping off and being difficult to live with, this is your life and your relationship with God. A person should always be flexible like a reed, and not rigid like a cedar. Yesterday was the newest holiday on Israel’s calendar, Jerusalem Day or Yom Yerushalayim. Jerusalem is where the Temple was and will be again. Jerusalem is where he was condemned to die. Jerusalem is where he will one day return as triumphant King and be enthroned in the Kingdom of Heaven. The ekklesia, the body of his devout ones, who believed the promises, who held tightly to the gifts in faith, who realized that Jesus was and is a vital messenger in the plan of God for Israel and for the nations, will be there celebrating with joy. But part of the foretaste, the sample that Jesus brought is that we can experience a little joy right now. 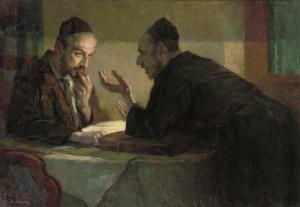 Many who observe a proper Shabbat have joy in the day of rest as a preview of the future perpetual peace on the Earth. 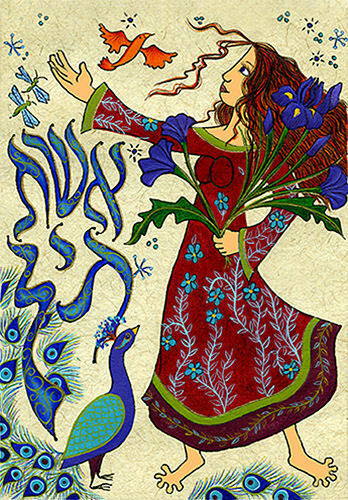 Shavuot is less than a week away and for those who choose to observe the festival in some manner, that too is joy, for we celebrate the giving of the Torah and also of the Spirit. Even now, there are Jews and Gentiles who call themselves Messianic and who share a common vision of who we are and what the future holds. In the Messianic Kingdom, there will be Israel and the nations, the Jewish people and also the Gentiles who are called by His Name. We will be many peoples but we will have one King and one God. Jesus came first to bring the Good News that God’s promises will be fulfilled and he brought gifts as proof. By faith, we continue to believe in the message and the messenger. By faith, we continue to wait. By faith we experience joy. Someday all of the promises will be fulfilled and we will have joy in His Presence forever. Be grateful. Be joyful. We have received the Good News. The King is coming. Next week’s review of D. Thomas Lancaster’s Holy Epistle to the Hebrews sermon Faith Toward God will speak more on this topic. Previous PostSermon Review of the Holy Epistle to the Hebrews: Repentance from Dead Works, Part 2Next PostWhat Should Shavuot Mean to Me? I agree with you that he is a down payment of what will come, and also that the metaphor breaks down. There is no Temple, Priests, or Judges for the people to go to for the last 2,000 years, and so they haven’t been able to fulfill the Torah. Yet God, being God, knew that ahead of time, and I don’t believe He’d leave them without plan or provision. Christians tend to think in terms of the timeline, so the Temple was torn down because of Jesus’ work on the cross, as a cause and effect, and proof that there’s a “new Sheriff in town” now (gentile Christians). Yet, I see it in the reverse because God “knows the beginning from the end” and is outside of time; Jesus had to come when he did to inaugurate the Messianic era because it had to happen before the Temple was torn down, and the Jewish people scattered into a very long exile. Therefore, Jesus is of upmost importance on many levels. The Christian “good news” was only good for Jews who were willing to give up the original promises of God (and give up being Jewish), for Jesus brought those “new” promises, according to the Christian Church, to replace the old. This is not, however, what I was taught in church. Rather, that he is a fulfillment of those earlier promises (not a replacement), that can be seen more clearly now, but were in fact present from the start. With “progressive revelation” and hindsight being 20/20, it’s now obvious. Unfortunately, the narrative goes, the Jews missed it then (but if they had, we wouldn’t be having this conversation) and continue to reject him. Yet, by and large Jewish rejection of Jesus has been due to a) not knowing about him and b) due to historic Christian Suppersessionism, arrogance, persecution, and presenting a un-Jewish messiah. You make a good point about Jesus inaugurating the New Covenant era before the destruction of Herod’s Temple and the exile of the Jewish people from Israel, especially relative to the New Covenant promises that Messiah will rebuild the Temple and return the exiles to their Land. You also reminded me that traditional Christian language uses “fulfilled” as a synonym, either for “replaced” or “ended” the Sinai covenant and Torah observance, basically establishing that the previous, “old” covenant had to expire before the New Covenant could come into the world. This leaves Christianity in the interesting position that the New Covenant is the only Covenant is existence today, even though it has not yet fully arrived (and that’s an understatement), although some Christians amazingly believe the New Covenant has arrived in full (where’s my era of peace and why isn’t the New Covenant written on my heart so I never sin?). Actually the Jews didn’t “miss it.” Messianic faith was one of the normative Judaisms in the mid to late first century and into the early second century. As I understand it (due to my reading of Magnus Zetterholm), once the majority of Gentiles split off from the Jesus-believing Jewish ekklesia of Messiah, thanks to Roman anti-Semitism and persecution during/after the two Jewish revolts, there were two, parallel bodies of people who were Jesus-believers, the Jewish Messianic ekklesia, and the Gentile Christian church. But the Gentiles, there being many more of them, took over the movement, and the number of Jewish Jesus-believers dwindled over time and finally either went underground or were extinguished (and if underground, they finally ceased to exist as the decades/centuries passed). However, many Jewish people are not “missing it” now. Starting tomorrow, a whole bunch of Messianic Jews and their Gentile counterparts will be gathering in Hudson, WI for the annual FFOZ Shavuot conference. The body of the Jesus-believing Jewish ekklesia, complete with their Gentile members, is being re-established. May God gather His children together for the sake of Messiah and may they be firmly founded in peace. It seems to me that the extension of Lancaster’s parable to consider the position of gentiles would describe a friend of one of the two sisters, particularly the one who received a gift of pearls from a messenger by which her hope was increased about the impending return of her father. This friend was allowed to borrow the pearls in order to dress up one outfit or other. We could extend the parable even further to describe the less-than-exemplary (swinish?) behavior of this friend who often acted as if the pearls had been given personally to her and who then snubbed both of the sisters. But we needn’t focus on such a negative twist to the parable (the danger of displaying pearls before a swine? ), but rather on the intended positive relationship by which one sister agreed to share her pearls with her friend whose love impelled her to learn well how to share (a much more kosher relationship). It’s true that Lancaster’s parable could be extended to reflect the spread of the “good news” of the “father’s return” to include the Gentiles, but as it is, the metaphor is less than a perfect one, as I said above, and extending it probably goes well beyond Lancaster’s original intent in telling it. In 1 Samuel we read how Israel rejected God as their King when they asked for a man to be appointed King over them. But the thing displeased Samuel when they said, “Give us a king to judge us.” So Samuel prayed to the Lord. And the Lord said to Samuel, “Heed the voice of the people in all that they say to you; for they have not rejected you, but they have rejected Me, that I should not reign over them. When Jesus returns to be that ‘one King” mentioned by James, Israel will have the man as King that they desired, but additionally God will be restored as King: Jesus, both God and man ruling over His people. This begs the question regarding the very nature of the resurrected and glorified Messiah sitting at the right hand of God the Father. He is Divine and also remains forever fully human? I bet this isn’t a question people think about much of the time. Many people I’ve come across seem to think that Jesus only retained His resurrected human body until His ascension and then He somehow discarded it when He returned to the Father, and yet He is described as “ “the heavenly Man” whose image believers will bear after their own resurrection. “And as we have borne the image of the man of dust, we shall also bear the image of the heavenly Man.” 1 Cor 15. If Jesus is no longer man – what would we become considering we are transofrmed to be like Him? Would we lose our humanity? It is unfortunate that earliest writer in the NT was Paul a person who never actually met Jesus. It was Paul who might actually be called the “founder” of Christianity, with its distinctive theological doctrines. Even though Jews disagreed on how one might reflect and live out all the teachings and commandments of the Sinai revelation, especially regarding what came to be called halacha (literally “the way” or “the walk”), that is how to fulfill the various commandments, in general religious Jews, who took seriously the revelation of Torah, agreed on the obvious point that Israelites of all persuasions were obligated to live according to the commandments in order to be faithful to the Covenant. It is also unfortunate that In Paul’s thinking, instead of humanity divided as “Israel and the nations” which is the classic understanding of Judaism, we have “Israel “after the flesh” (i.e., the Jewish people), non-Jews whom he calls “the nations,” (i.e., Gentiles) and a new people called “the church of God” made of all those whom he designates as “in Christ” (1 Corinthians 10:32). The notion that Christianity depends on “grace” and Judaism on “works” is a terribly unfortunate misunderstanding of Judaism. What divides Paul from Judaism is his insistence that God’s justifying forgiveness is only extended to those who accept his Divine Christ faith. * Priests are messiahs[Lev 4:3], Kings are messiahs[1Sa 24:6], G-d’s people are messiahs[ Psalm 105:11-15] and a non-Israelite King Cyrus is a messiah too[Isa 45:1]! Actually, I do consider humanity to be divided as “Israel and the nations” and do not divide Christianity and Judaism based on “grace” vs. works” (but then I’m not a very traditional Christian). It was a tragic mistake or perhaps malicious intent that resulted in Jesus being stripped of his basic identity as a Jew who affirmed the oneness of God by the early Church, once the Gentiles split away from the Jesus-believing Jewish ekklesia. As I said in my blog post, I really don’t expect my small commentary to convince Jewish people that Jesus is the Messiah. On the other hand, I don’t believe my commentary represents the traditional perspective of the Christian Church, especially as the Church has been experienced by Judaism over the centuries. Much of your response would probably apply to my upcoming review of Derek Leman’s ebook Divine Messiah which addresses many of the same points you bring up. I’ll finish reading Derek’s book in the next few days and will likely publish my review sometime next week. I appreciated being able to read what you shared here in the comments. I would like to invite you to look into the work of Mark Nanos; he has a website with a lot you can read there as well as suggested other reading (by people other than himself) and some information on books he’s written, been featured in also. And more, it’s very generous. And he is of very high integrity and intellectual honesty. Christians DO generally teach all the things you said they do (Nanos is not Christian), but Paul was different; Mark Nanos articulates (and studies) well. I agree it may be Paul who was the founder of Christianity [or it may be it was Peter when he asked whether anyone thought the gentiles who received the Spirit could be denied the water]. And it may have been no writers of N[ewer] T[estimonies] who founded it [it having rather been founded in subsequent history]. In any case, it is very different from what was taught by Jesus and John and “James” and so on (and different, too, I believe, from Paul). Even if we can better-determine what Paul was trying to say, the religion claiming to come from them and him has morphed greatly. MenashE, that is. My apology. As always, the divinity of Yehoshua remains the sticking point for many people who might otherwise understand that Yehoshua fulfils the prophecies to bring in the Kingdom of G-d (over 365 messianic prophecies fulfilled at the last count), with only a handful remaining to be fulfilled, all of which requires a Messiah to come in power and the Glory of G-d, and straighten out the world. YHVH is echad. But as I understand it, YHVH sent His Voice and Right Arm into Human flesh to represent Him as the ombudsman that Job mourned over not having…an intermediary that could stand between human and G-d, and bridge the gap between them with one perfect act of self-sacrifice planned from before the Universe existed…a kinsman Redeemer…our Goel. No man born of Adam can live perfectly, and be perfect and innocent as a lamb is innocent, and offered up as a sin offering for man. Only a man that is more than a man can live in this treacherous human body, and conquer it faultlessly. Logically, Yehoshua is thus more than a man. At the least, Yehoshua is something yet again like Adam, and adopted as G-d’s son, even as is prophesied, yet made of Miryam’s flesh, and given something of God’s essence to make Him live without falling prey to a man’s flesh. So any way that you look at it, Yehoshua is not a mere man, nor merely a Davidic heir with the gift of prophecy and healing. Yehoshua is not YHVH. But Yehoshua is made from the Voice and Strength of YHVH, and placed into Human flesh, made from the Divine Essence of G-d, and the Seed of a Woman. The divine nature of the Messiah is a great mystery best left for another blog post or series of blog posts but I don’t think the “Trinity” works exactly like the Church believes it works. Christianity has a tendency to avoid, disdain, and even fear mysticism (in spite of the fact that Christianity has a very rich mystic history and that some Christian leaders of centuries past studied the Zohar), but I believe that the only way to understand the nature and character of Messiah is within the context of Jewish mysticism. It’s getting close to the time when I need to re-read Levertoff’s Love and the Messianic Age along with its commentary, since Levertoff, a late 19th to early 20th century Jewish believer with a Chasidic background, also understood Moshiach in this manner.